LEIGH are desperate to finish their season on a high by winning at Widnes and so securing a major financial boost. The higher up the Centurions finish in the Middle 8 table, the more they receive in prize money which could have major implications when it comes to strengthening the squad for 2016. 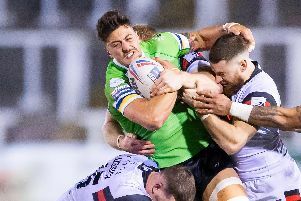 Although Leigh’s hopes of promotion to Super League were ended by Bradford on Saturday, coach Paul Rowley says there is much to play for against Widnes. “It is important to remember that we had our target of two years to get into Super League,” said Rowley. Leigh and Widnes have enjoyed some tough battles in recent years and Rowley hopes Sunday’s game will be just as exciting.